Best Places To Work in India is a ranking of the best places to work both overall and across individual categories as determined by reviews left by visitors to Indeed, the world’s #1 job site, on individual company pages. Indeed publishes new ranking lists from time to time, and the criteria and focus of the lists depend on criteria that are most relevant for job seekers. Companies are ranked by certain geographical areas and industries, as well as nationally. In lists that rank by location, industry, or job type, all companies matching the criteria are shown and ranked. To be included in this view, a company must be eligible for visibility in this list, based on sufficient reviews for the relevant category (regardless of sponsored status). Eligibility for visibility on national lists is determined by taking into account a company's size, number of job openings and locations, and economic influence at a national level. 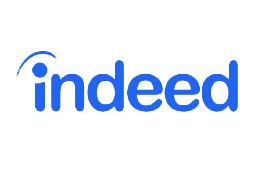 Indeed uses a proprietary algorithm to rank companies using a variety of factors, such as average rating, number of reviews, and the history of job openings. But in general, companies with a large number of high ratings will place higher in the rankings. The ranking methodology is applied uniformly across all companies, in all lists. After rankings and ratings are calculated, companies may be excluded for a variety of reasons such as suspicions of fraud, abuse or other activities which Indeed ultimately determines may negatively affect the veracity or utility of the rankings for job seekers. You can read all about all the winners through the years, and how to apply for the next edition here.